It was a fun and inspiring week talking to students in Falmouth, Medford and North Andover. 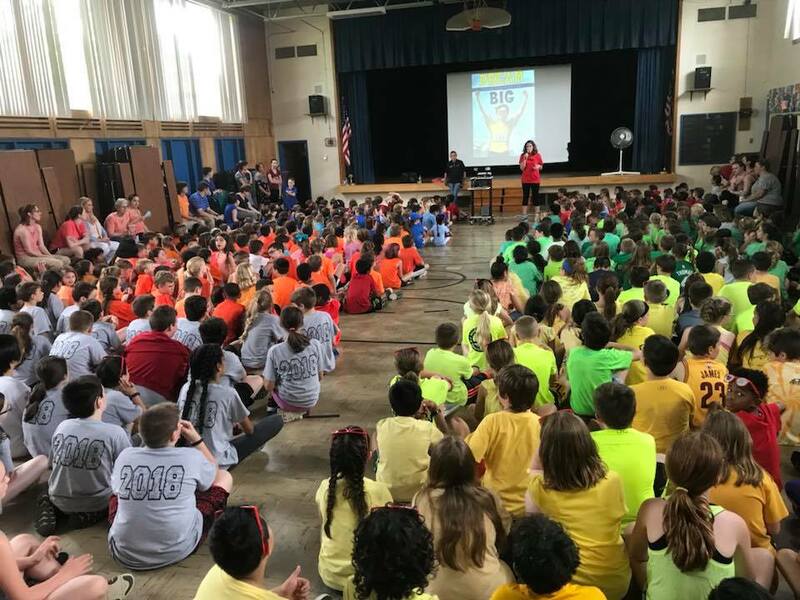 It was so surreal talking to the kids at the McGlynn Elementary and Middle Schools in Medford, MA since I grew up in Medford myself and ran in track meets at Hormel Stadium right next to the school. Then speaking at my daughter Chloe’s school, the Franklin School in North Andover, was very special, too. It was Fun Run Day at the school where all the kids ran laps around the playground in the morning and I spoke to the entire school, 450 students, later in the afternoon. I was able to donate my book Dream Big to all the kids at each of these schools, distributing over 1,000 donated books with thanks to the Joseph Middlemiss Big Heart Foundation! 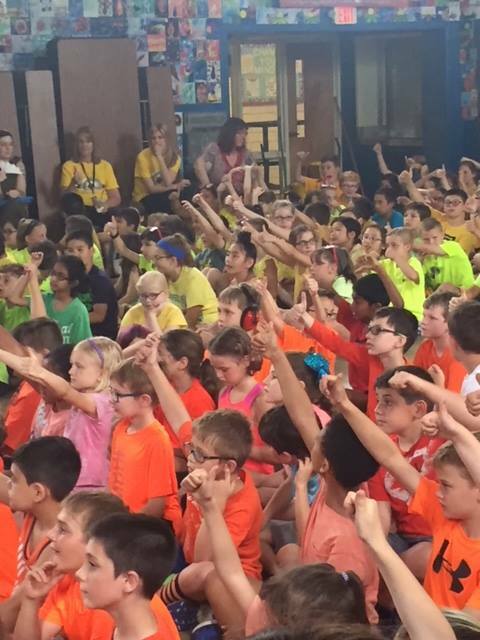 It has been so rewarding to speak to over 3,000 kids at areas schools and hospitals since my book came out in March. I may give up my day job and just do this for the rest of my life…ha! My objective is to encourage kids to believe in themselves, “dream big”, set goals and accomplishment things in life. This will give them the critical self-confidence they need which is the foundation by which they will accomplish everything else in their lives.